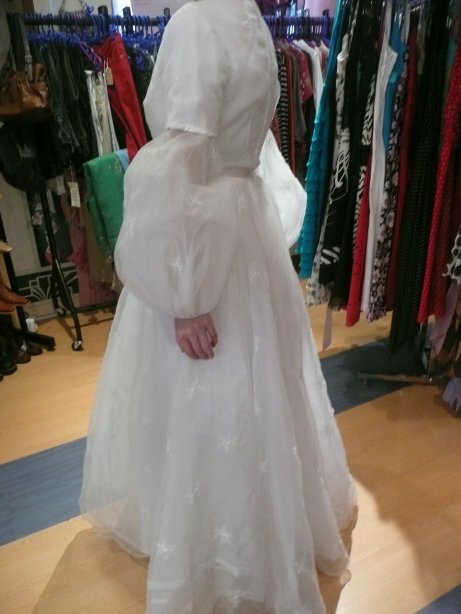 Princess Mimi: Gorgeous Vintage wedding dress selling for charity! 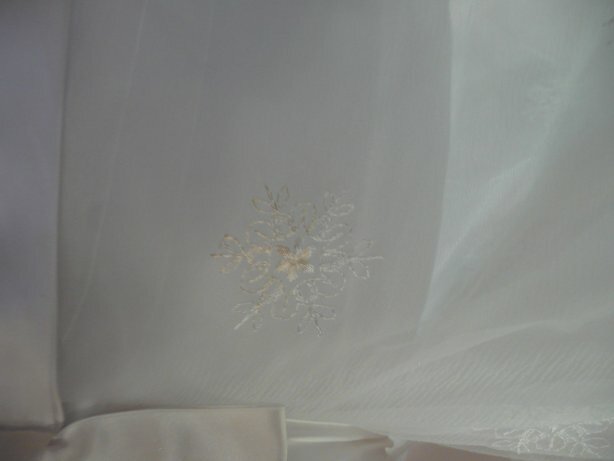 Gorgeous Vintage wedding dress selling for charity!. 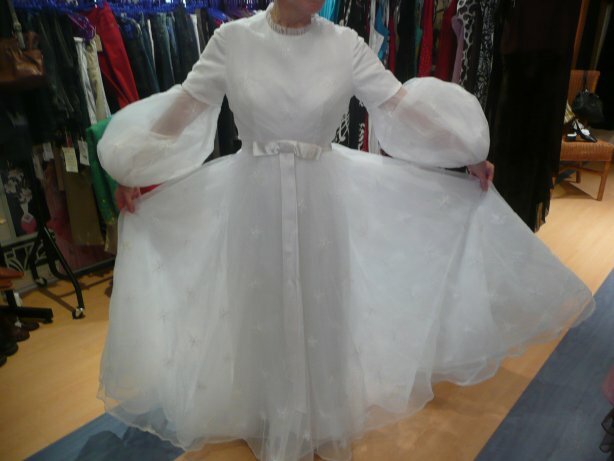 This wonderful dress is being sold in aid of a West Dorset charity. 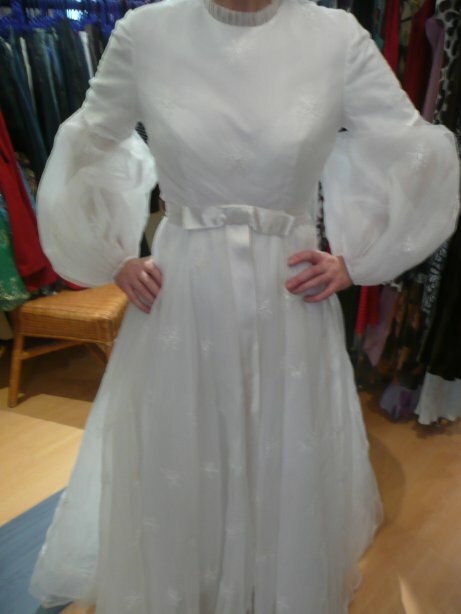 Dating from the early 70s, it has been professionally handmade from a vintage Vogue pattern - so the style is older than the dress. 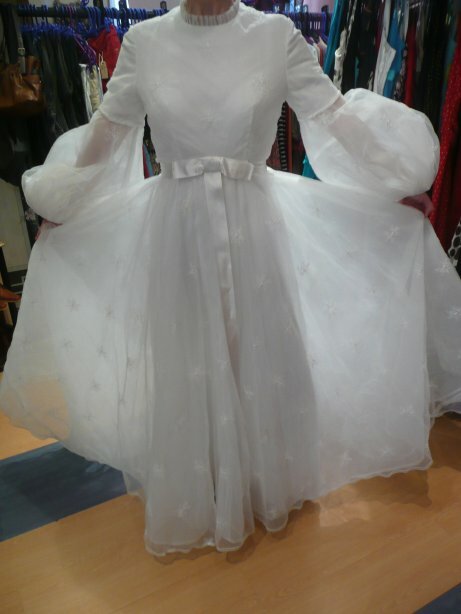 It's the dress you dreamed of as a little girl - full-skirted and fabulous, fit for a fairy-tale princess! 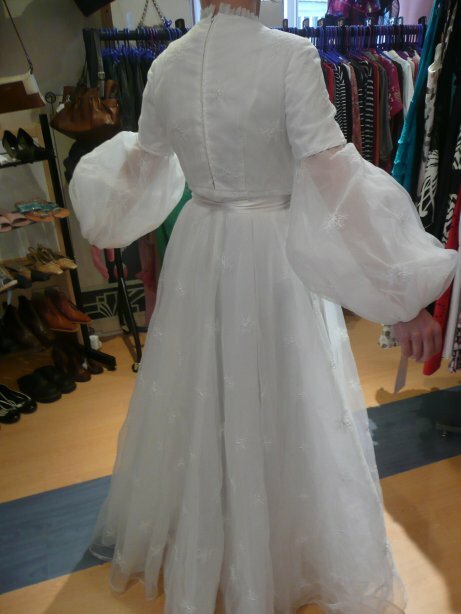 Like everything else on this site, this dress is a true one-off; and because it's being sold for charity, we cannot take returns - sorry. 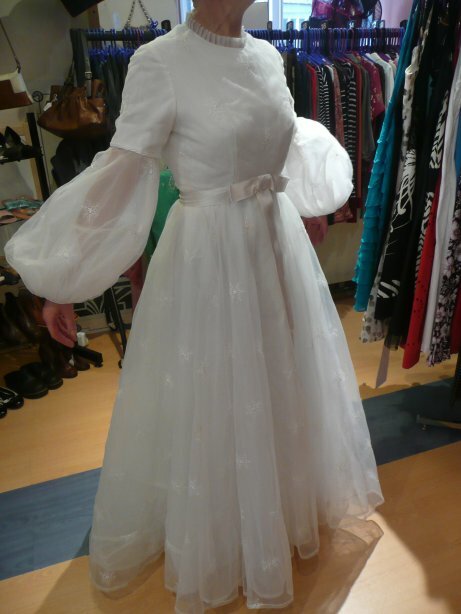 Our model is 1.69 metres and a UK size 10; but please see the measurements below, as this dress is quite high waisted and was probably designed for a shorter woman wearing heels. These are the measurements, as accurately as I can take them - please contact us for any we have missed! Overall length: 62 ½ ins/158.5 cms; length from back of neck to waist: 14 ins/35.5 cms; shoulder to wrist: 26 ins/66 cms; underarm to wrist: 18 ½ ins/47 cms; bust: 35 ½ ins/90 cms; waist: 29 ins/73.5 cms. PLEASE NOTE: THESE ARE GARMENT MEASUREMENTS, NOT THOSE OF THE PERSON IT WILL FIT! All sensible offers considered: please use the 'contact us' link.